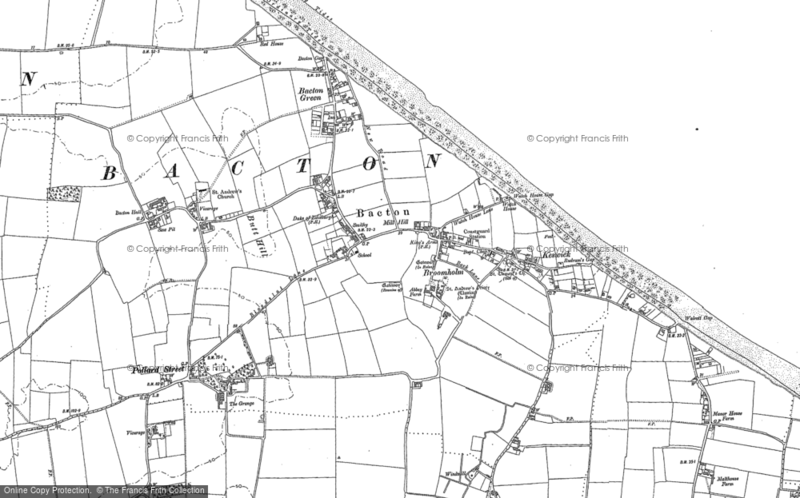 Eden Hall - a Memory of Bacton. I was sent to Eden Hall school in about 1954. The head was Mr Lockwood ,his wife and he had two sons. When it was time for bed we all had to have malt and a cup of chocolate, then to bed. I left in 1960 in them days. I went back in 1997 on holiday and went to Eden Hall School but it had been pulled down. One night in the 1950' s there was a bad storm, it was in the Norfolk newspapers; a ship had been beached because of the bad storm. It was also on the TV news. This was at Bacton on Sea beach. We kids was there on the beach for hours. Hi I am Michael Allen and I went to eden hall school in Bacton in 1958 to 1960 and the headmaster was a thug egged on by his wife. I remember once when I was accused of standing on another boys fingers when running in the playground for that I was hit across my bottom six times with his shoe this caused a bit of worry as my house mother Miss Betty saw the bruises when it was bath time Iwas scared to tell my parents for a few years on. On numerous occasions we received the cane one time every child was caned as someone had messed on the stairs and would not own up. Mr Lockwood was an evil man and should never have been a headmaster. All the house mother were lovely. Miss Jean Miss Doris Miss Betty I cannot remember the other one. I am glad a few pupils are coming forward to air their views on what it was really like in the late fifty's at Eden Hall with Mr Lockwood. Disgusting man. Michael Allen. I was at Eden hall from56-66 l found the headmaster and staff very supportive and caring thanks to their love and support l and my sister have a lot to be thankful for .